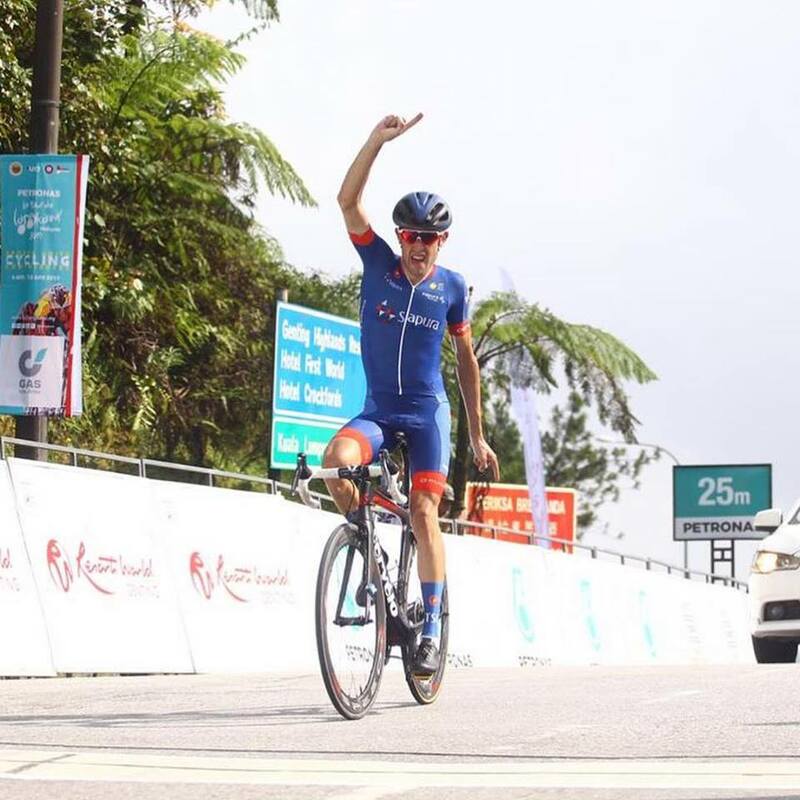 GENTING HIGHLANDS: Team Sapura Cycling’s Benjamin Dyball put himself in a commanding position for the overall title in the Petronas Le Tour de Langkawi 2019 after winning the Queen stage at the summit of Genting Highlands today. 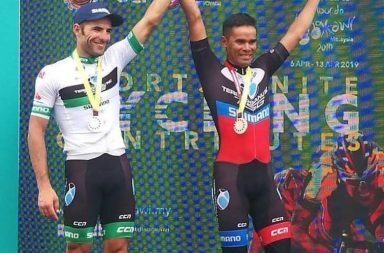 After finishing third overall in last year’s edition, the 29-year old crossed the finish line after launching a solo attack, leaving Interpro’s Hernan Aguirre of Colombia and Floyd’s Racing’s Keegan Swirbul of the United States, two kilometres from the finish. Dyball finished 23 seconds ahead of Aguirre to establish a lead that sees him end a 24-year overall victory drought for Australia, with no rider from Down Under thus far able to match the feat of inaugural winner, the late Damian McDonald in 1996. 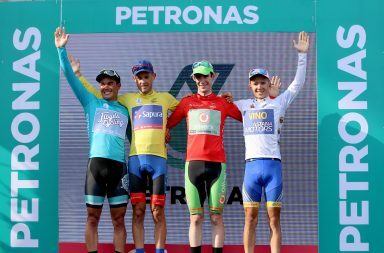 The stage saw a sprinkling of attacks from sprinters looking to bag intermediate sprint points, who were matched by yellow jersey holder and winner of yesterday’s stage, Floyd’s Racing’s Travis McCabe who put in an impressive performance for a sprinter, finishing 12th in one of the toughest climbing stages on the UCI Asia Tour. 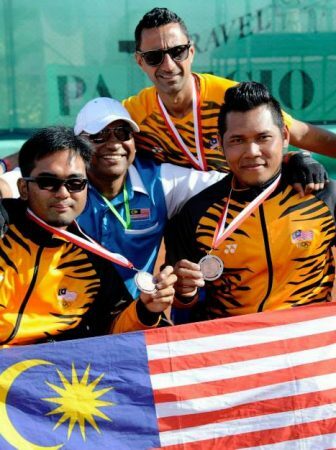 Dyball, with teammates Cristian Raileanu and Marcus Culey, formed part of an 11-man breakaway at the foot of the Genting climb, which later trickled down into the three podium contestants. “It all went according to plan. I had Raileanu and Culey sticking with me when the climbing started. 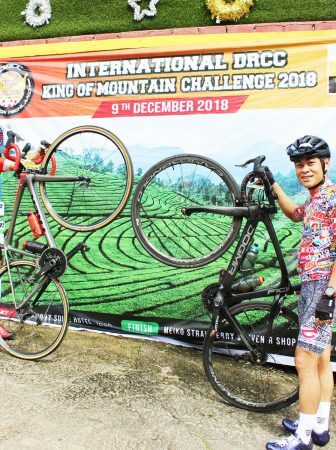 When I was in the leading group with the Aguirre and Swirbul, I was confident of being able to drop them, so I just played along with them,” said Dyball. 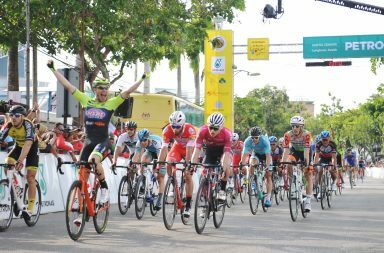 “I am in my best shape, but the lead isn’t so big,” said Dyball, of the 27s deficit that second-placed Aguirre has to make up in the general classification. McCabe wasn’t expecting to remain in yellow, but was happy to have retained the green jersey. 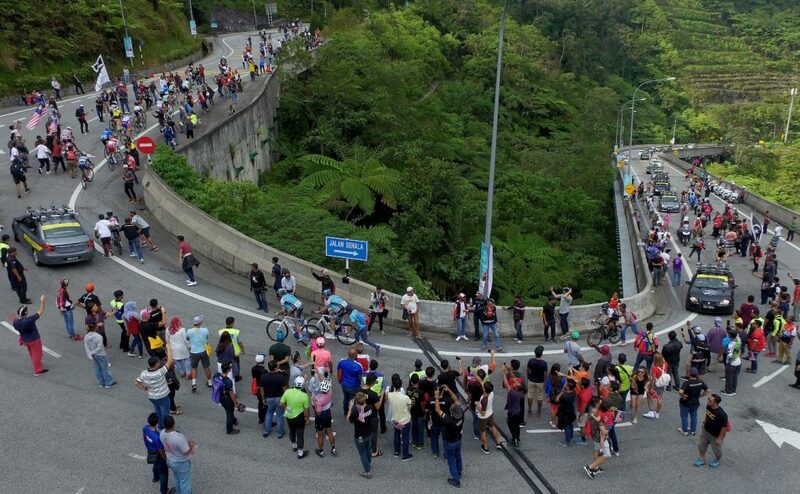 “I was at the back of the peloton with 12km to go, but I felt strong and just gave it a go. 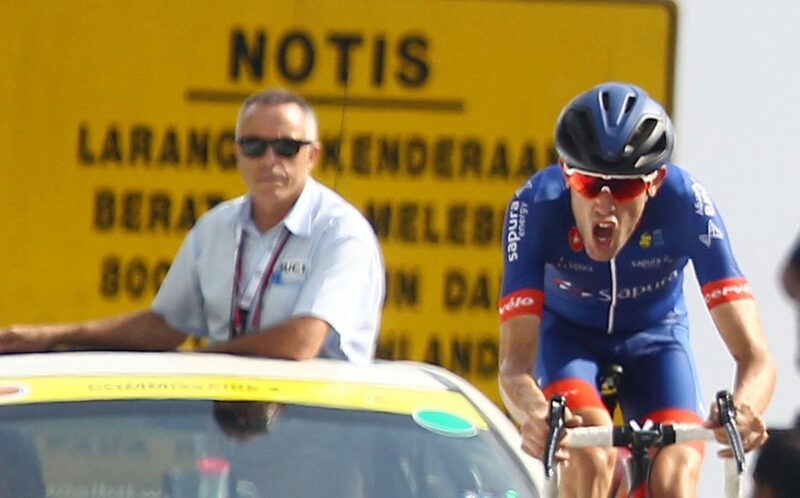 Maybe the power of the yellow jersey pushed me, as I’m surprised that I could climb better today. I will try to hold on to the green,” said McCabe. 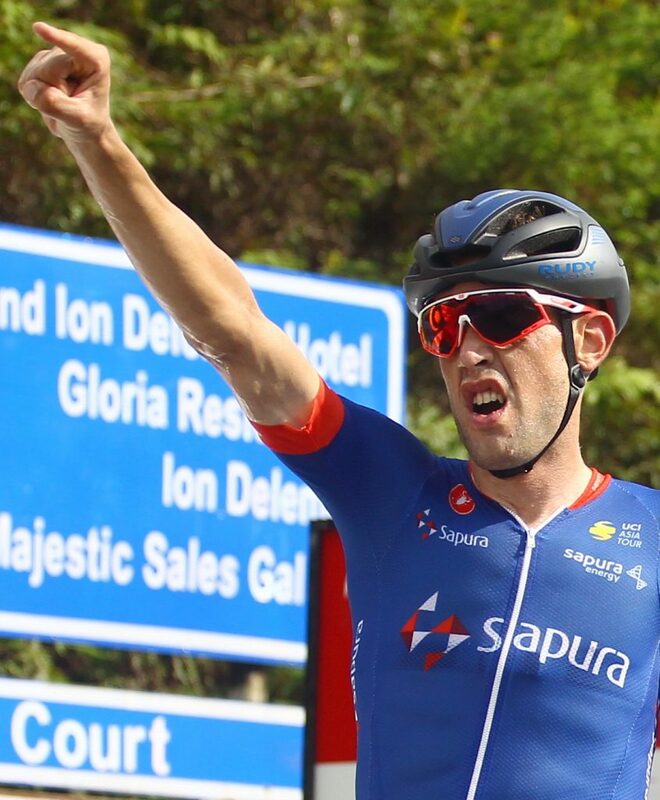 McCabe leads the points classification with 41 points, ahead of Pro Racing Sunshine Coast’s Michael Freiberg on 28 poits and Bardiani-CSF’s Andrea Guardini also on 28 points. 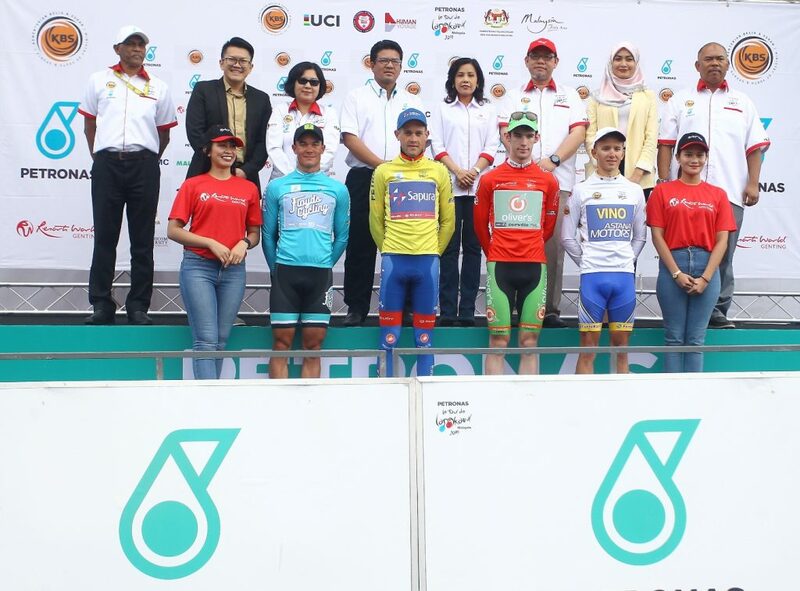 Vino-Astana’s Vadim Pronskiy took charge of the white jersey of the Asian classifications leader, with a 24s lead over Japan’s Nariyuki Masuda, while teammate Stepan Astafyev is third, 33s behind. The mountains classification lead was retained by Oliver’s Real Food Racing’s Angus Lyons, who topped the first two categorised climbs of the day to extend his lead to 47 points, 25 more than Dyball who is in second and Aguirre, who is a further point adrift. 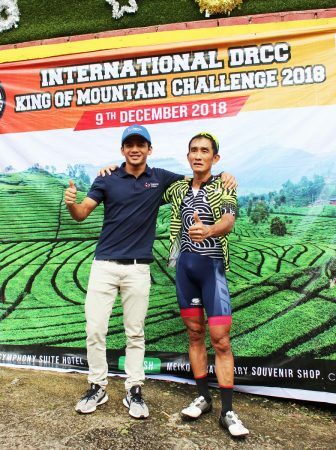 Dyball’s defence of the yellow jersey begins with a tough 200.1km Stage Five from Tanjung Malim to Taiping tomorrow.